The Aquarius man is very outgoing and makes friends quite easily because of the level of understanding and tolerance towards other people. The Sagittarius woman too is an independent and extrovert personality. She is outgoing and carefree in nature, also sometimes misunderstood as a major flirt. These qualities make them quite similar in nature and can prove to be beneficial for them as a couple. Since they both display intelligence as strong characteristics they will never get bored in each other’s company and in fact will enjoy the challenging and mind sharpening conversations they make. Since the Aquarius man and Sagittarius woman both share similar traits, they are bound to succeed in the relationship as they have a very strong understanding of each other’s perspective on life. For instance, the Aquarius man and Sagittarius woman both portray a very high level of honesty and loyalty. Once the Sagittarius woman finds her true love, she will go all in and be the most faithful, loyal and loving partner one could find. 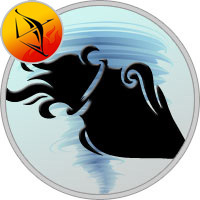 The Aquarius man is superbly impressed by the independence and practical nature of the Sagittarius woman thus bringing them closer to each other than ever before. This intimacy, understanding and attraction is evident in the sexual history of the couple too. They will never get bored or tired of each other and every encounter will be as good and exciting as the first! If ever the Sagittarius woman starts to get fed up or shows signs of boredom, the Aquarius man will jump to his best and make sure she is enticed again. The few negatives in this relationship will be the conflict that stubbornness brings between them. The Aquarius man and Sagittarius woman can both be very stubborn and arrogant which can act against them in this relationship. However, with their communication skills, once they sit down and discuss their differences, they will be on happy tracks in no time. They both need to understand that giving each other the space, freedom and independence is the key to them staying together. Once they master the art of understanding each other’s differences and identifying the cause of their conflict they will be able to resolve it in no time.